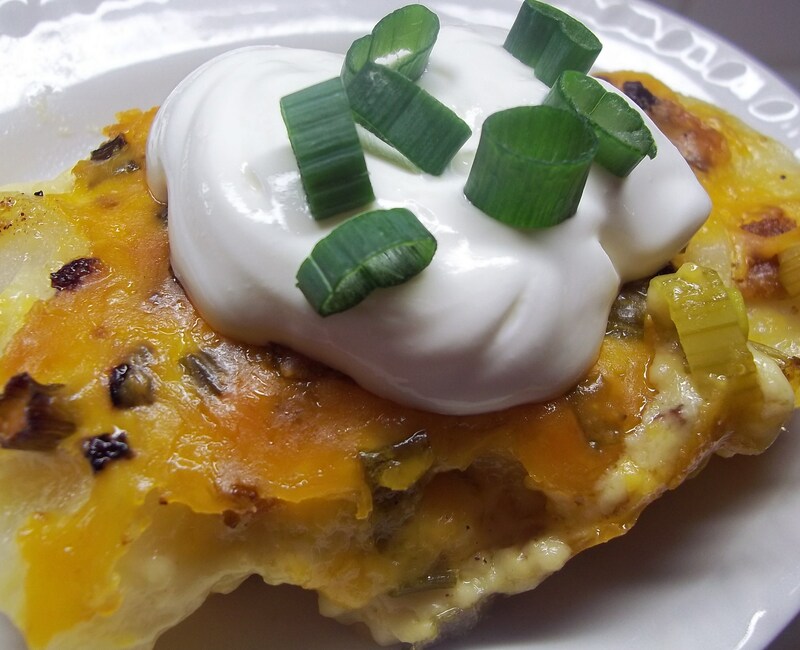 A dollop of sour cream and a sprinkling of green onions or chives makes this “baked potatoes in a pan” even better. 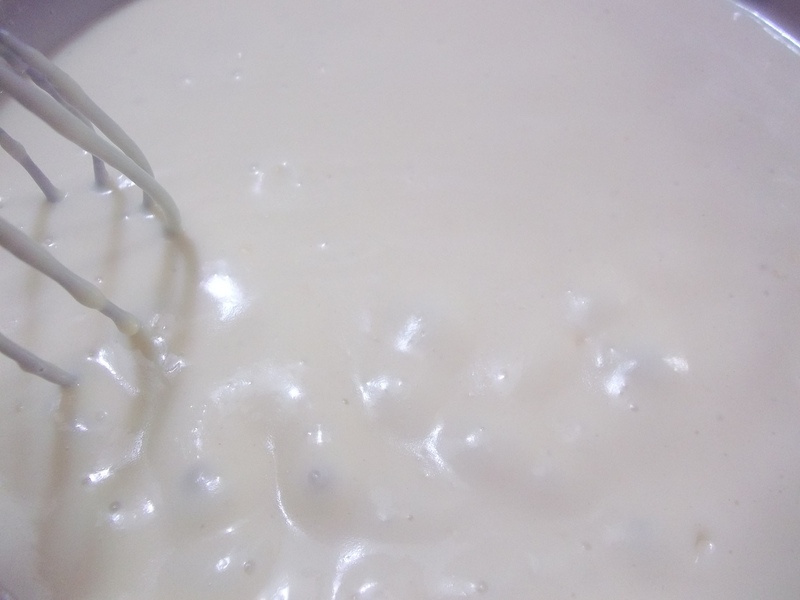 If you aren’t fond of the idea of making bechamel sauce, you could probably substitute alfredo sauce from a jar, warm it, and melt the cheddar right into it. This dish would be a great brunch idea. Heat oven to 350 degrees. Prepare Bechamel Sauce. Add 4 oz. cheese to make a cheese sauce. 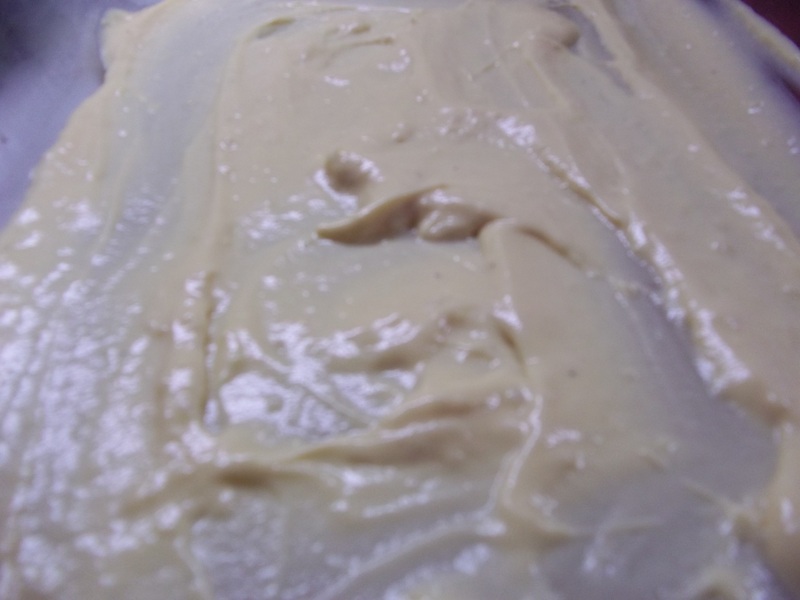 Spoon a small amount of cheese sauce into the bottom of a 13X9X2″ rectangular baking dish. 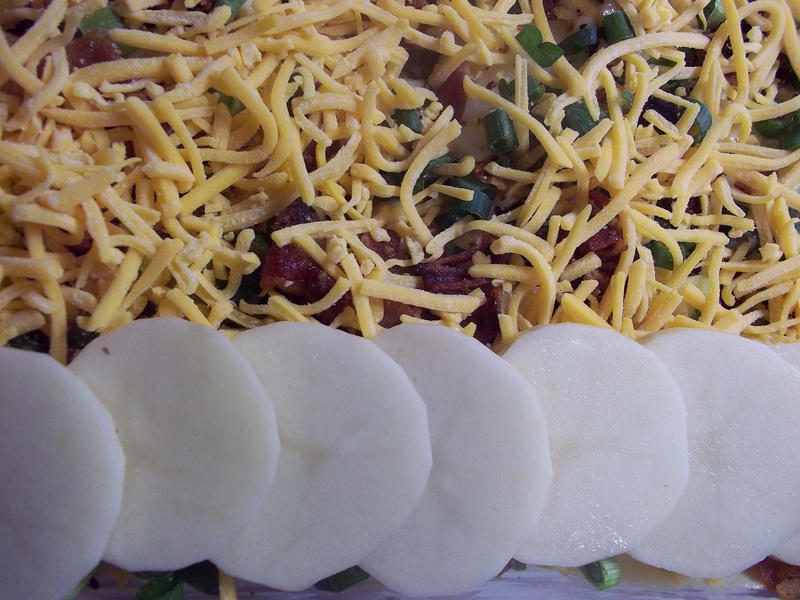 Lay potatoes in a scalloped fashion to cover the bottom of the pan. 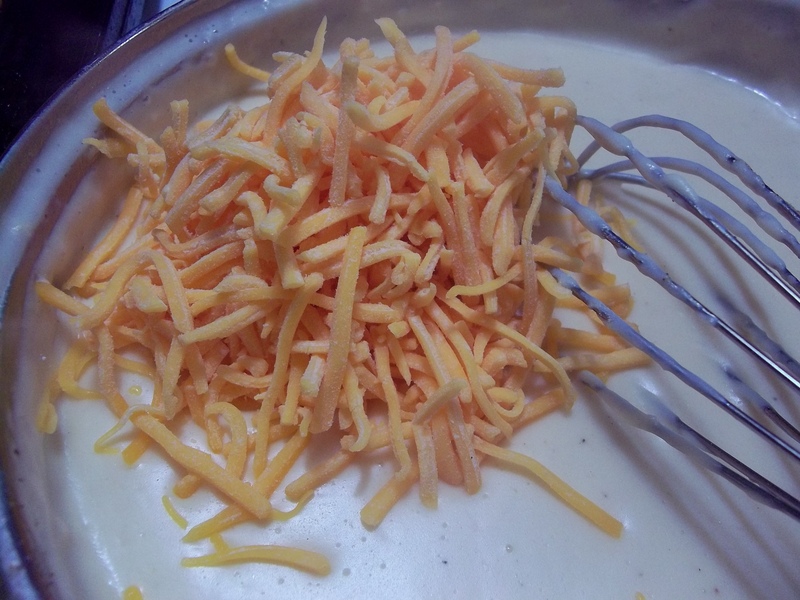 Add half of the remaining cheese sauce, spreading to cover. 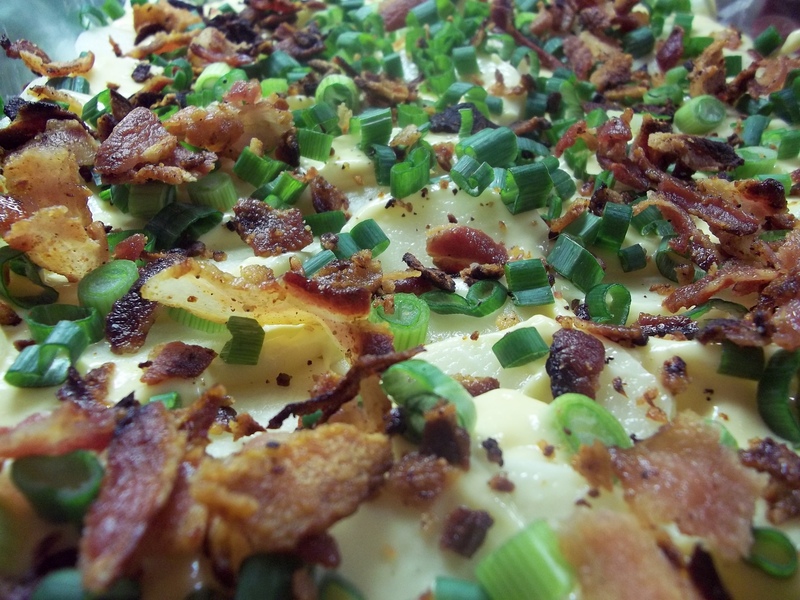 Sprinkle 1 cup of the green onion slices over the sauce, then half of the crumbled bacon. Top with 6 oz. grated cheddar. 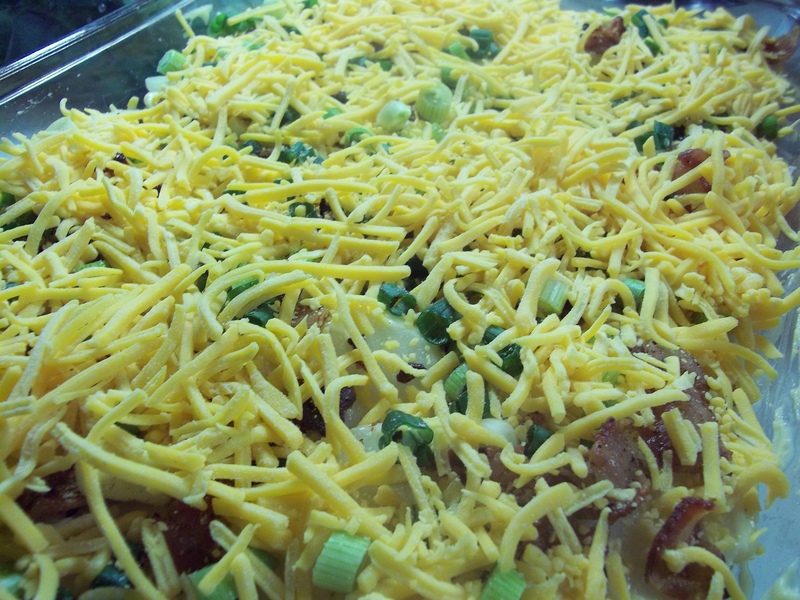 Repeat process with potatoes, sauce, bacon, onions, and cheese. Bake covered for 1 1/2 hours. Remove cover at the end to brown. 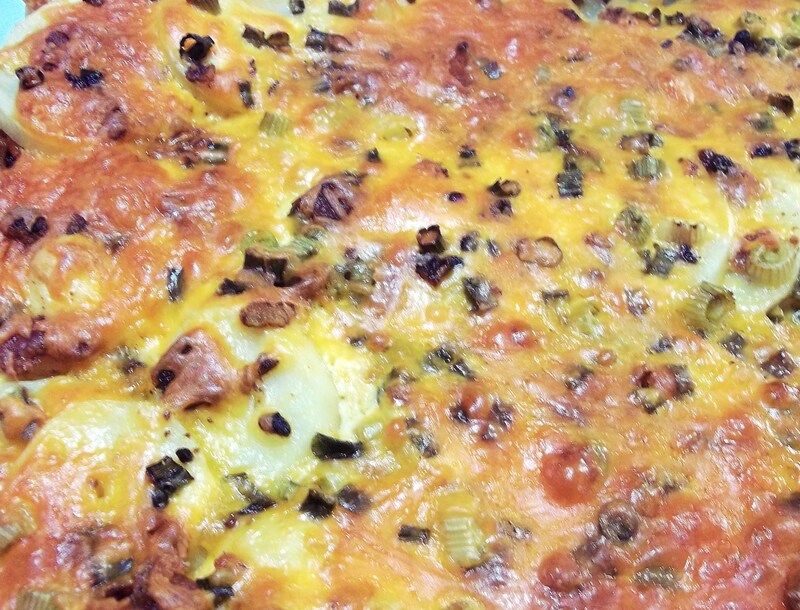 Spoon onto plates and garnish with a dollop of sour cream and a sprinkling of green onions.